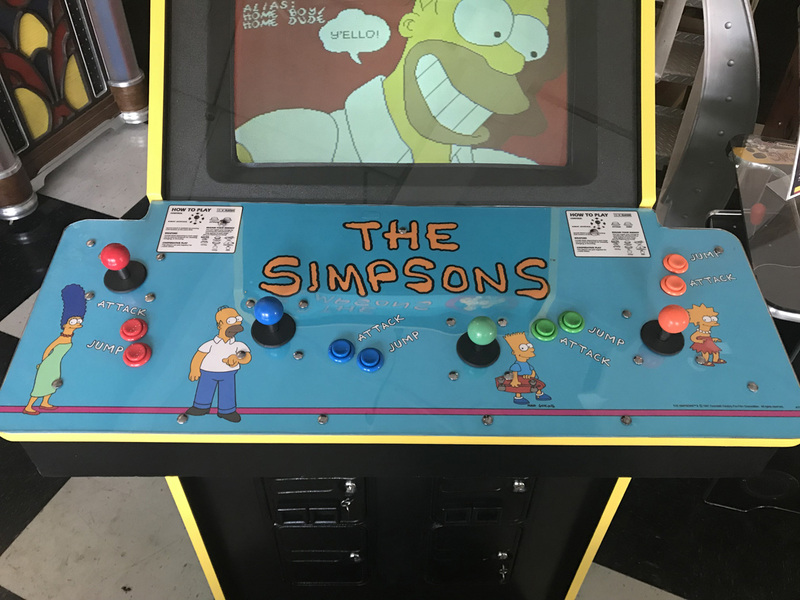 The Simpsons Arcade Game – 4 Player | Fun! One of the most collectible, fun games of the 90’s is here. This prime example has been faithfully restored back to almost like new condition! Aye Carumba! 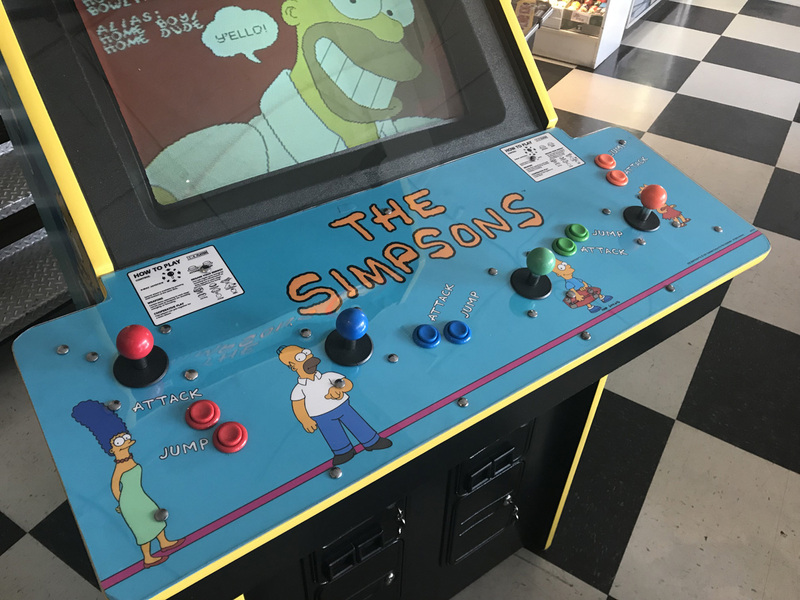 America’s favorite animated family is now a favorite arcade game. 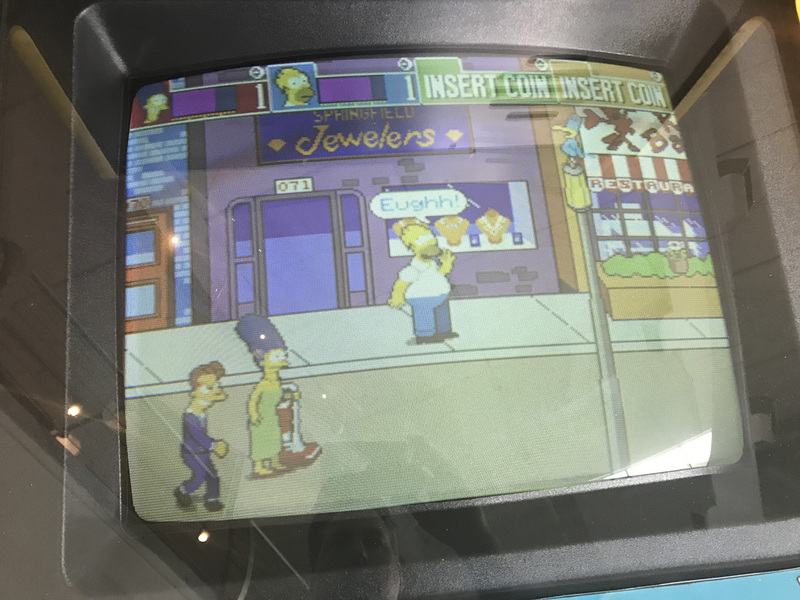 While innocently wandering through beautiful downtown Springfield, the Simpsons encounter a robbery in progress. As Homer bumps into the thieves, a large diamond pops out of their hands and into Maggie’s mouth. Unwilling to part with the treasure, the thieves take Maggie with them. Now Homer, Marge, Lisa and Bart join together in a mission to rescue Maggie. The fun never stops in The Simpsons. 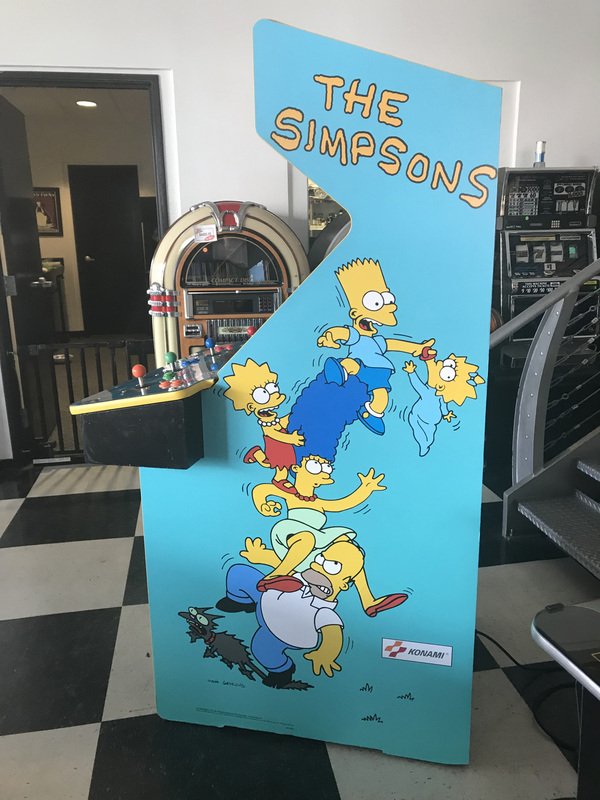 The game takes the family through different areas of their home town, including Downtown Springfield, Krustyland, the ghoulish Springfield Discount Cemetery, Moe’s Tavern and many other places. Each family member has his own special attack technique. 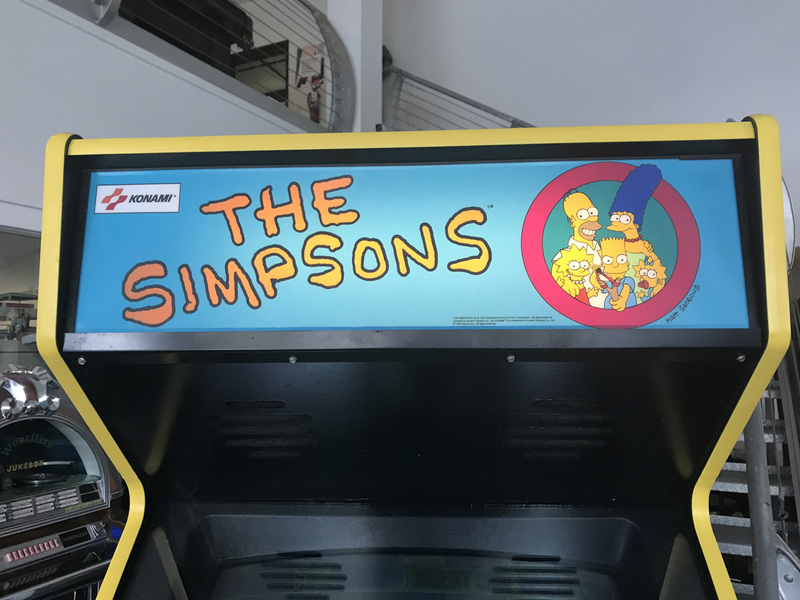 Bart uses his trusty skateboard, Lisa whips the enemies with her jump rope, Marge cleans up the hooligans with her vacuum, and Homer’s arms and legs are his lethal weapons. Also two family members can join together for a team attack. 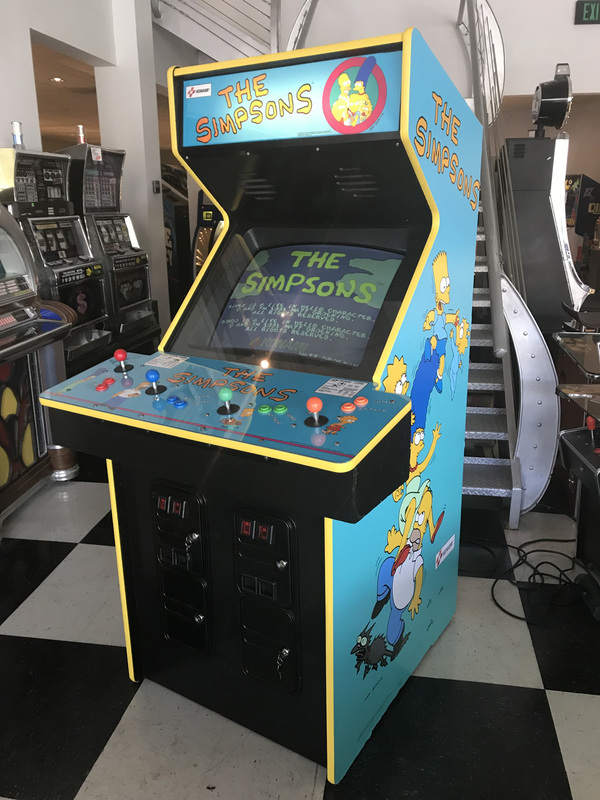 All through the game, the Simpsons fearlessly battle the evil hoods. Many of the enemies are in disguise, so expect the unexpected. This game has went through an entire ground up restoration. 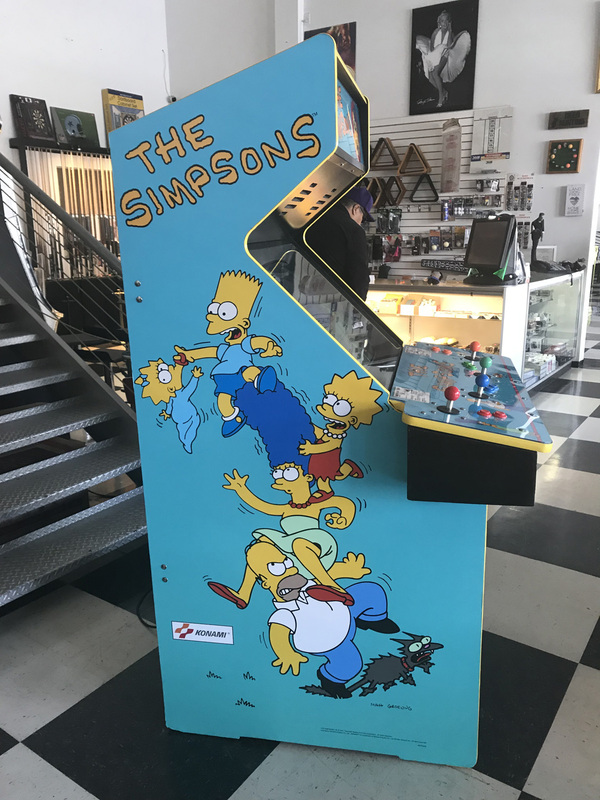 – Cabinet sanded down smooth, repainted in black area’s and brand new high quality reproduction side art installed on cabinet. 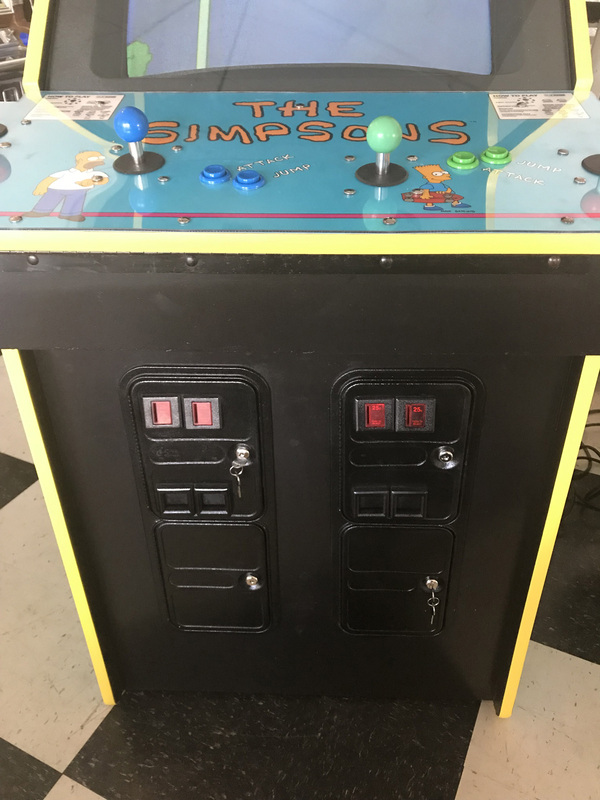 – Brand new control panel overlay installed along with brand new 8-way joysticks and buttons and brand new protective lexan cover over control panel. – Coin doors have been repainted and new locks installed on both doors. 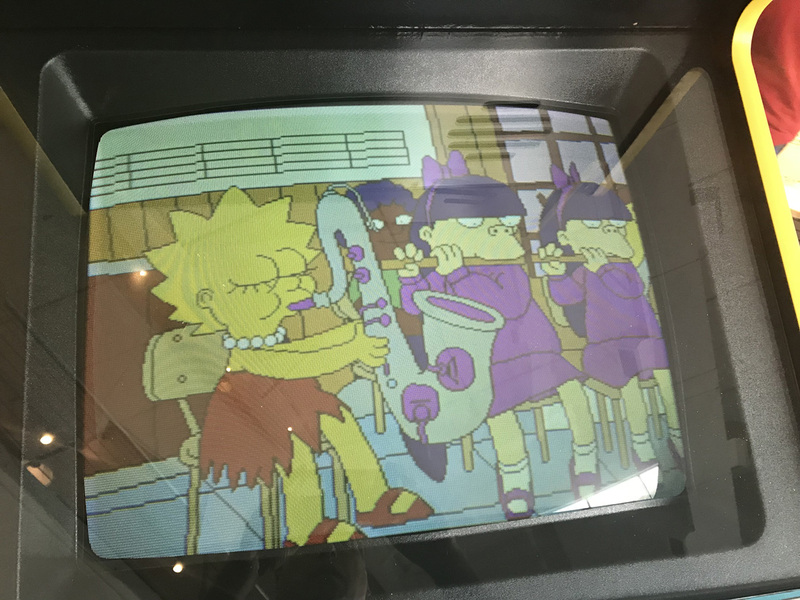 – 25″ CRT Monitor rebuilt and repaired. Picture is bright and crisp and looks great! This is a rare opportunity to own a very sought after game in remarkable condition. Hurry as we don’t expect this to last in our inventory very long.